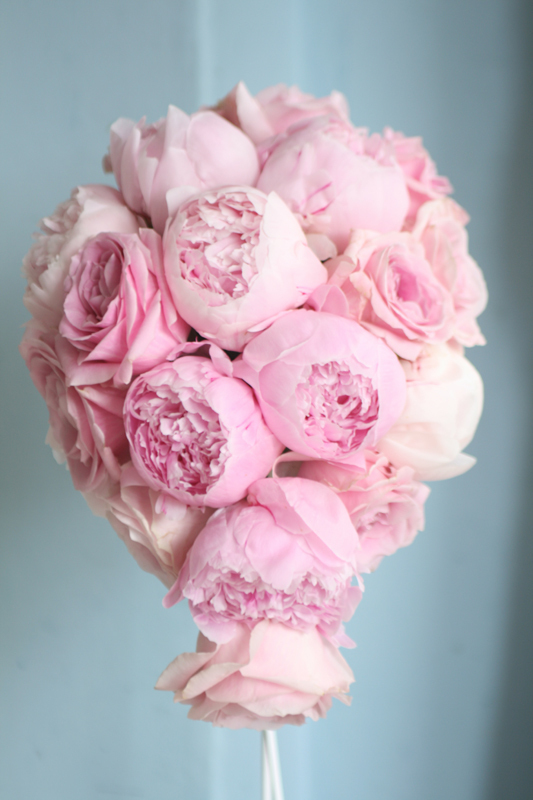 We are now in the midst of peony season so I thought I would share some pictures of this weeks flowers which include the gorgeous Sarah Bernhard Peonies. 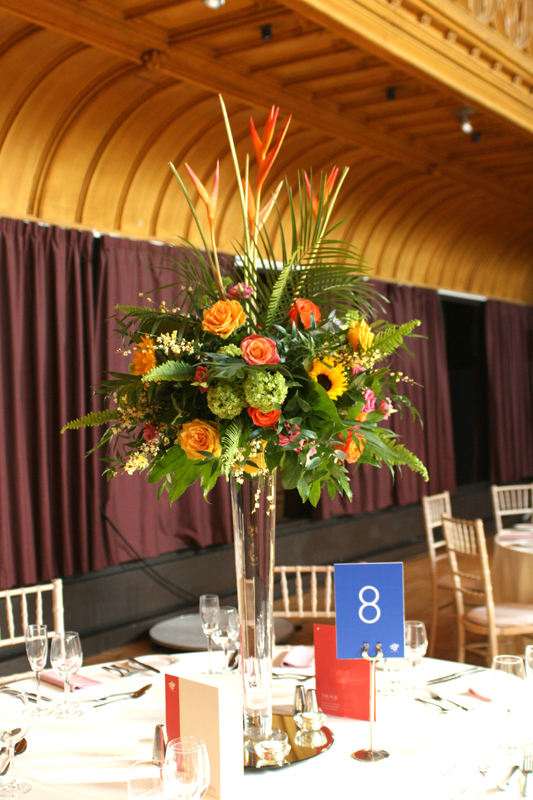 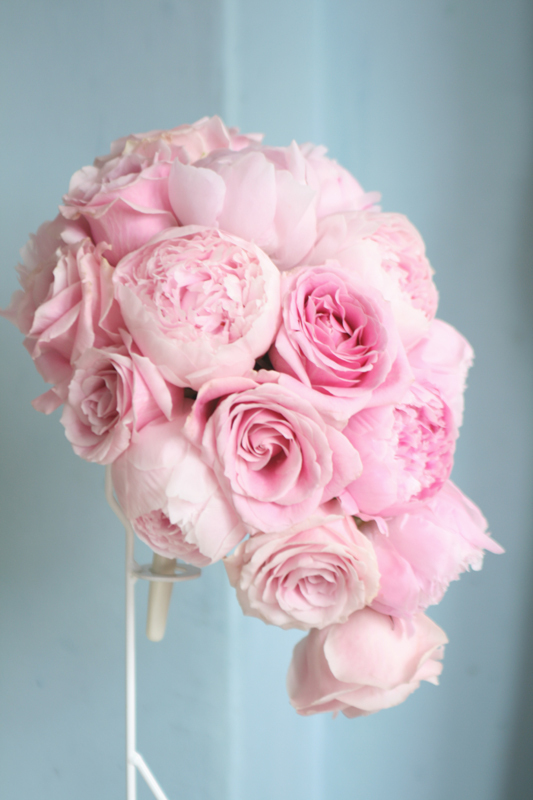 The bridal bouquet was a small teardrop shape which is a style that is becoming very popular with brides. 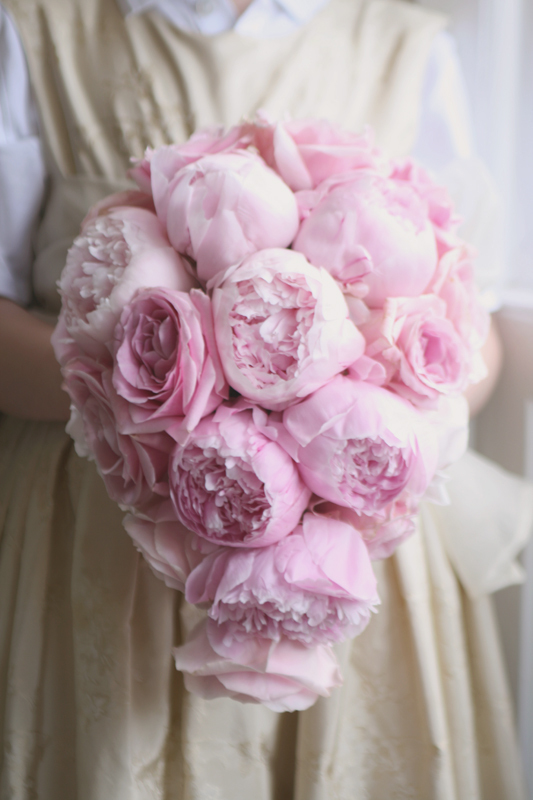 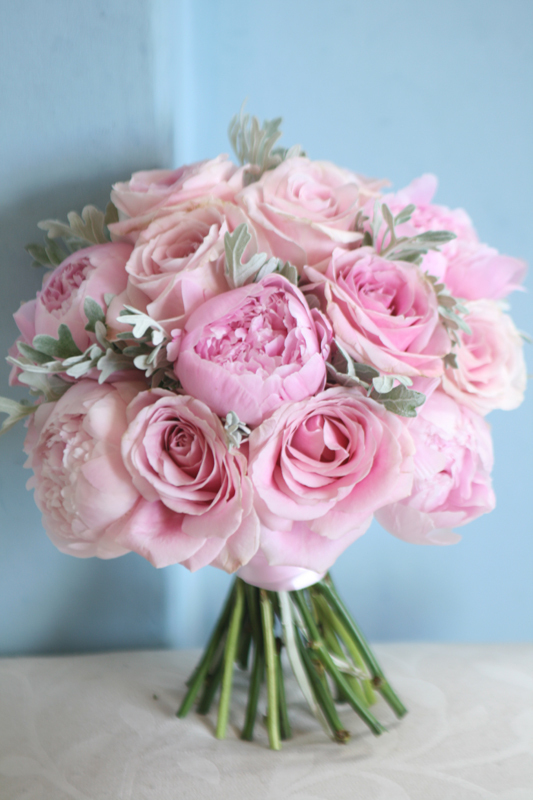 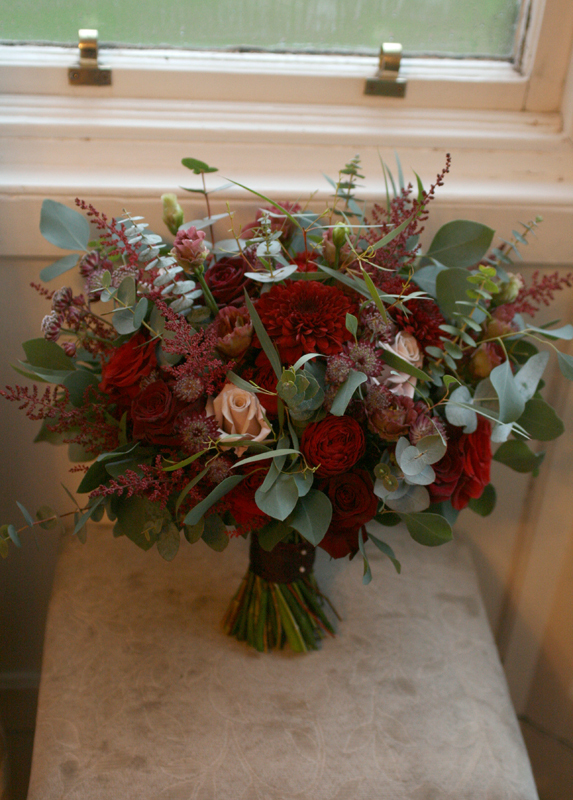 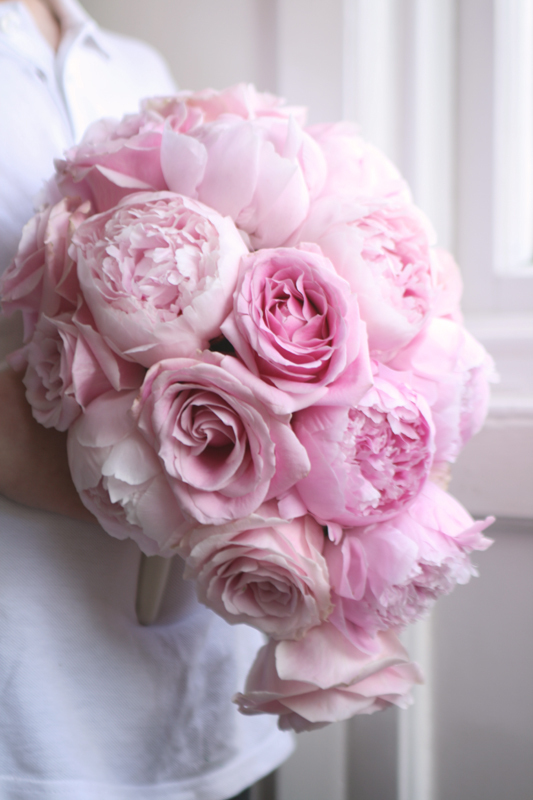 The bridesmaid’s carried hand-tied bouquets with peonies, roses and a touch of silver/grey senecio foliage.